The wreckage of the unauthorised AirAsia flight QZ 8501. 162 innocent lives have been killed! Updates on 14-1-2015: Jakarta Post – “I admitted that administrative negligence occurred when requesting the change in flight schedule, as the verbal information failed to reach the ministry,” Sunu Widyatnoko said. 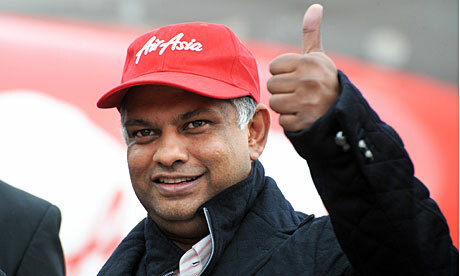 Sunu Widyatnoko is the director of AirAsia. For full Jakarta Post report HERE. On 13-1-2015 it has been reported in Antara News that AirAsia had finally admitted during the hearing before the Members of the Commission V of the Indonesian House of Representatives that AirAsia was only allowed to fly four days a week on Monday, Tuesday, Thursday and Saturday. Left: Tony Fernandez & Sunu Widyatnoko. Picture of both of them during the press conference first few days of the disappearance of AirAsia flight QZ8501. Ever since the the Indonesian Minister of Transport revealed that QZ8501 was unauthorised, we no longer see Tony Fernandez giving press conference. However, AirAsia Director, Sunu Widyatnoko had also said that it had “verbally proposed a correction in the flight schedule to the official at the Transportation Ministry”. See below for the full report by the Antara News. According to the said Antara News report, AirAsia had now on record claimed to have made a verbal application to the Indonesian Transport Ministry for the change of its flight schedule. It was clear from this that AirAsia may have made the verbal application but it did not receive the necessary approval. AirAsia had no respect for any authority. Secondly, air safety is of utmost important in aviation business and any application for additional flight must be done officially and not verbally as claimed. Malaysia Department of Civil Aviation (DCA), please take note of the modus operandi. It was unclear whether the so-called verbal application for a change or additional flight. From the press statement of Tony Fernandez below the so-called verbal application was for additional flight because he had said that AirAsia has the right to fly seven days a week from Surabaya to Singhapore. This “verbal” business is very fishy to say the least. In Malaysia, at least we knew that AirAsia had collected Airport Taxes from passengers for almost 9 years totalling RM132.1 million and it was not handed over to the airport authority. No other airline dare to do this. Just imagine, how powerful was AirAsia. However, when the airport tax debt was brought up in Parliament in 2008/2009 , the Badawi Government had no choice but to persuade AirAsia to pay. Of course, AirAsia was given a huge discount of 25% as “incentive” for owing it. Please read HERE. Thank Gad, so far we have yet to hear of AirAsia making verbal application for flight schedule or waiving safety measures to the Malaysian Ministry of Transport or DCA. Yours truly has been alerted of the above Antara news report by a regular reader and contributor, Warrior 231. Thank you Warrior 231 for alerting and sharing the information with yours truly and other readers. On 7-1-2015 the Indonesia Minister of Transport, Pak Ignatius Jonan, had said that Tony Fernandez has admitted to him that flight QZ8501 was not in accordance with the permit, HERE. Thumb up from Tan Sri Tony Fernandez. May be it was due to AirAsia’s abilities to fool the Indonesian Ministry of Transport. On the same day, Tan Sri Tony Fernandez, the CEO of AirAsia , has been quoted in his favourite newspaper the Star that he has never admitted that Indonesia AirAsia has no permit to fly the Surabaya-Singapore route, his office said in a statement on Wednesday. “We have the right to fly Surabaya-Singapore. We had flown that schedule and had rights for seven days a week,” the statement quoted Fernandes as saying, HERE. From the above statement in the Star, it was clear that AirAsia have been flying 7 days a week from Surabaya to Singapore and the flights on Wednesday, Friday and Sunday were UNAUTHORISED/UNLAWFUL. The AirAsia supremo, Tony Fernandez, had publicly challenged the Indonesian Minister of Transport and announced that AirAsia had right to fly seven days a week from Surabaya to Singapore. Why AirAsia director openly defied/contradicted Tony Fernandez when testifying before Commission V of the Indonesian House of Representatives, which is equivalent to the House of Parliament in Malaysia? Now Everyone Can See It Is Extremely Difficult To Differentiate Between SPINNING and TALKING. Jakarta (ANTARA News) – AirAsia Indonesia had verbally proposed a change in its flight schedule from Surabaya, East Java, to Singapore to the Indonesian Transportation Ministry Chief of Directorate of Air Transportation, the airlines President Director Sunu Widyatmoko stated. “As per the initial schedule, we were allowed to fly four days a week on Mondays, Tuesdays, Thursdays, and Saturdays. But, we had verbally proposed a correction in flight schedule to the official at the Transportation Ministry,” Sunu noted during a hearing session at the parliament building with members of the Commission V of the House of Representatives. Sunu explained that AirAsia Indonesia was initially seeking a verbal approval from the Transportation Ministry official, after which it would have officially applied for a change in flight schedule for the Surabaya-Singapore route. “There is an administrative mistake that our official proposal did not reach the officials at the Directorate of Air Transportation. This is a correction for us,” Sunu remarked. Earlier, Transportation Ministry Acting Director General for Air Transportation Djoko Murdjatmojo stated that the low-cost carrier Indonesia AirAsia has violated an agreed flight schedule for its Surabaya (East Java province) to Singapore route. “Based on our observation, AirAsia does not fly in accordance with the schedule agreed with the government,” Djoko stated at a press conference. According to Foreign Flight Permit Letter Number AU/008/30/6/DRJU/DAU issued for the year of 2014/2015, AirAsias flight services on the Surabaya to Singapore route are supposed to be on Mondays, Tuesdays, Thursdays, and Saturdays. However, the ill-fated AirAsia flight QZ8501 crashed on Sunday, Dec. 28, 2014, he pointed out. Djoko remarked that if AirAsia wanted to change its flight schedule, it should have sent an official proposal to the Directorate General for Air Transportation. “We never received any official letter from AirAsia requesting a change in its flight schedule,” Djoko emphasized. He noted that the Transportation Ministry will soon conduct an audit on the related authorities involved in AirAsias scheduling case. Djoko said he will revoke the flight permits of airlines that violate the agreed flight schedules. It is unheard of an airline making an application for a change of its schedules verbally. Another serious revelation of how this low caste airline operates althea years. It could owe airport taxes and now official applications were made verbally. Indonesian Transport Ministry should terminate AirAsia’s Air Operation Certificate (AOC). It should not be allowed to operate in Indonesia. In fact it should not be allowed to operate anywhere in the world because innocent lives may be in danger. We have already seen the lost of 162 lives. Do we need to see more lives to be lost in the future. We can only hope that our dunggu DCA officers are not like the Indonesian counterpart by allowing AirAsia to do what it wants. Am I right!! TF runs AA in all countries like “cowboy style”… This is too much to take especially so for the Families of victims of the Flight 8501.. How can they get away with it without the appropriate punishment.. Daylight manslaughter!! If the flight is illegal, definitely, the insurance company would not pay at all. I hope the Indonesia Government would take the necessary action to charge AA/TF so as to ensure that this does not recur and teaches them that this is not Malaysia, of which you can get away with it..
Tony WTF you are doing! You are playing with the innocent lives of your passengers. As I have read before in YB’s blog: Tiny’s famous quote “if you price the fares low enough, MALAYSIANS are prepared to risk their lives”. This is the vision or motto of TOny and AirAsia. Tony you have the bloods of 162 innocent passengers and crew on your hands. I hope that you and your AirAsia will be punished in Indonesia and everywhere else and by GOD. God bless the 162 victims who have sacrificed for Tony and AirAsia to make the blood money! Indonesian government must take drastic actions against Tony and his AirAsia. For a start he should be charge for “murder” of the 162 innocent passengers. Out DCA must now do an immediate audit of all the operations of the low caste airline whether they have cut corners on safety measures and approvals. We ned to protect innocent lives. In view of the admission by AirAsia that it has no permit to fly on Sunday and QZ8501 flew on that day. 162 lives have been lost just like that. Our DCA should do a thorough audit on AirAsia before many lives are lost again. Prevention is better than cure. Always remember air safety cost a lot of money. AirAsia will do everything to save money. It even refused to pay 20 Sen per passenger to use the aerobridge provided by MAHB. Aerobridge is part of passengers convenience and more importantly safety. How could it be safe when passengers have to walk down the stairs and on the tarmac to the plane? No wonder the Pariah had gone dumb lately. We thought that he got the gift of the gap. Now his big gap was causing tremendous problems for him and AirAsia. I full agree that Indonesian Government must take actions to charge the Pariah and AirAsia for operating unlawfully. What “administrative negligence”? There are 162 lives perished because of more “profit” or “negligence”. It was a murder that AirAsia, Sunu and Tony Fernandez must be held responsible for. AirAsia/Tony Fernandez was lying all the time when he said that AirAsia was authorised to fly 7 days a week from Surubaya to Singapore. Now AirAsia was forced by circumstances to admit this serious offence that killed 162 innocent passengers. Where is the big mouth Tony Fernandez now? We would like to hear how is he going to spin or lie to get out from this serious fix? The Indonesian Authorities must punish AirAsia, Sunu and/or Tony Fernandez for this “administrative negligence”. They have killed 162 passengers. They must be responsible for their acts. It is now time for the Indonesian govt to put the muderers behind bars. It has been reported that Tony Fernandez met Najib today. I don’t understand why PM Najib has the time to waste with the spinner or liar. That’s the trouble with Najib and his advisors. The pariah said in a press conference last week that he will be in Surabaya to assist the families of the passengers. Ever since it was exposed by the Minister of Transport that QZ8501 was unauthorized to fly on Sunday, he had disappeared from Surabaya. Now he is running to Najib for help. The end is getting nearer for him. Now AirAsia and him need helps and not MAS. Served him right. Unfortunately 162 lives have to be sacrificed for this pariah. My concern is not so much TF and his gang. They can take a hike in the slammer for all I care. That would be wonderful payback on what was inflicted on MAS and a QPR relegation would be the icing on the cake. My concern has more to do with the debt overhang that fueled AA’s growth via easy credit. How many local banks underwriting them loans would suffer especially if 1MDB follows suit. Will the rakyat, whom I am deeply concerned about have to ultimately bear the pain through EPF and the usual suspects etc etc? I see little or no hope of AA ever pruning its debts to manageable proportions and the failures of its parent and associates plus AAX will constitute a major financial catastrophe. I am not surprised at all when that happened. Many low cost airlines had folded up (Kignfisher in India, Oasis in Hong Kong and several in USA and others). Don’t tell me that Tony Fernandez is a genius. He got where it is today because of the enormous help from the Pak Lah’s Administration. 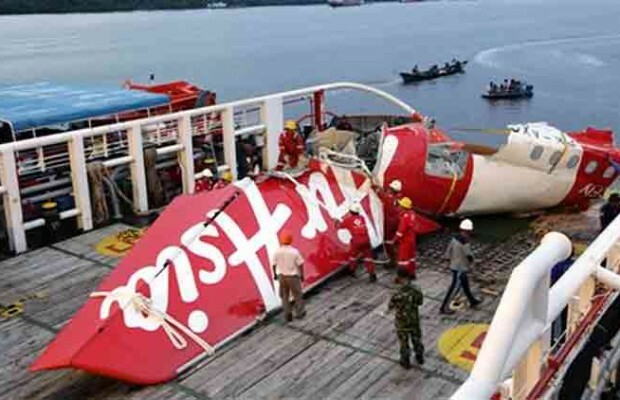 With the selling off of Caterham, QPR facing possibility of relegation and no sponsorship from MAS, AirAsia X is losing money big time and now the crashed of QZ8501, Tony/AirAsia future will be very bleak. The moral of the story is: Don’t be arrogant. Stop treating others as fools. Now Everyone Can Laugh and … Ka! Ka! Ka! The Spin Dr’s head is spinning very badly now. Padan muka! May I firstly extend my deepest condolence, sympathy and prayers to the family members of passengers and crew of this flight. Only cowboy or flight by night company made verbal application for flight schedules. Indonesian must probe deeper into the relationship between Officers at the Surabaya Airport Control Tower and AirAsia. The answer could be easily found. The Big Mouth Tony had said that he will be in Surabaya to assist the families. After the unauthorized QZ8501 was exposed, the Big Mouth Pariah had disappeared from Surabaya. He is running to see Najib for help. He should be running to Nazir for help so that CIMB can give Airsia more loans. What a joke – verbal application!! Tony, your silence on the admission of administrative negligence by AirAsia is most deafening! The world is looking forward to see how you would spin this damning admission. Please show us your expertise. Are you running away from Surabaya? Tony Fernandez and his outfits must pay for their administrative negligence and at the same time the directors and Tony must be sent to jail. Jail is the place for killing 160 innocent passengers.